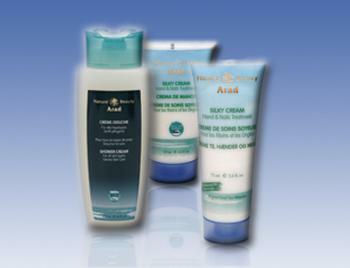 Arad products offer a full concept of well-being for face and body, bringing the properties of the Dead Sea to your home, to your SPA and to the beauty parlor. We take special pride in the fact, that our “friendly and green” preservative system used in the products, complies with very high standards required by our leading customers in the EU, Switzerland and Japan. All production is carried under rigorous supervision and strict Quality Control tests before embarkation to the destination.